If I might suggest an alternative for those of you determined to deviate from the common nail, yet who prefer to keep your dignity in tact? 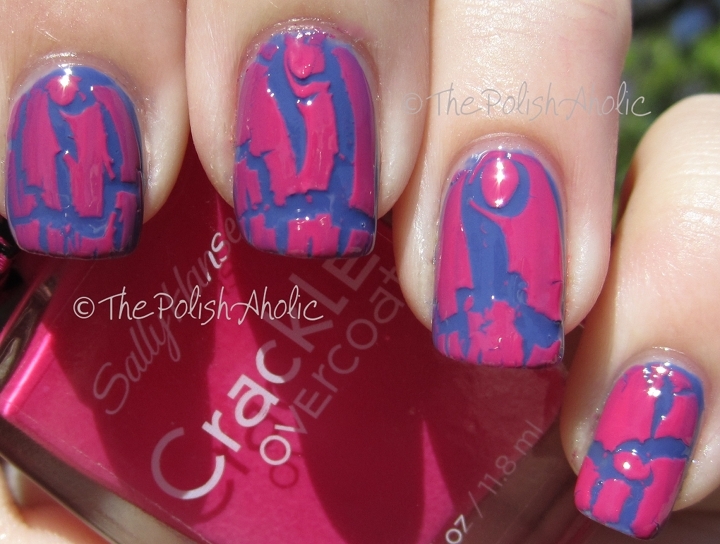 Consider the Strangebeautiful library of provocatively colored polishes. Designed by Rhode Island School of Design Alum, Jane Schub, who takes a somewhat subversive approach to selecting her unconventional yet urbane hues. Her rather eccentric sources of inspiration and understated packaging provide the line’s high hip factor. The saturated rusty iron color of an Irish bog caused by the reaction between tannin, wood and iron. The dreadfully wonderful dirty almond color used on kitchen appliances. Volume #5 was released this summer, just in case you’ve been searching for a shade that mimics “the profile of a gray-blue Heron scooping fish against a background of gooey river runoff”. And who wouldn’t be? Not ready to commit $79 bucks to a full set of 8? A small assortment of individual bottles are available at Anthropologie. IMHO, New York City is a brutal place to be when it’s hot, humid and raining. In wet Manhattan, a stroll through central park lacks appeal, the subway becomes one big convection oven that smells like feet, and I completely lose the will to explore undiscovered corners of the city. It was one of those depressingly dark and rainy days last week when I took refuge in the Javits Center. Joy of joys, my spirits were lifted upon discovery of See Design, a new range by textile designer Donna Gorman. The bright colors and whimsical yet modern patterns righted the bleakness imposed by the weather and inspired a summery state of mind. Before starting her own business, Donna was the VP of Licensing and Design for Marimekko, and created textile collections for companies like Target, Crate and Barrel and Dansk. At this time, she sells exclusively wholesale; meaning, if you want to purchase, you have to find an independent retailer who carries the goods. (As of yet, she doesn’t have a store finder function on her website to make this an easy task – Donna, you’re killin’ me here.) Although, I suppose the hunt is half the fun of shopping, right? A warm, breezy day like this calls for a dose of naughty but nice Synthpop. Polite Dance Song by The Bird and the Bee from the Album Ray Guns are not Just the Future, 2008. Just enjoyed this quietly charming video created by Everynone (in Collaboration with WNYC’s Radiolab & NPR). Hope you do too. After working at a toy company for a few years, you just can’t help falling hopelessly in love with really great design for kids. So, as I was strolling down the aisles @ the NY Gift Show, I found myself totally mesmerized by the Pop & Lolli booth. Now, decor stickers are nothing new; they’ve been designer’s sweethearts for several years now. But the design of this line stands out in a big way. It’s whimsical on an epic scale, modern yet warm, kid-friendly with adult appeal. Designed by an L.A.- based South African expat, who struggled to find funky, fun wall decor for her daughter’s nursery – you know, something extraordinary. So, she took matters into her own hands, producing unique, fabric-based decals that are fully repositionable, non-toxic and made in the USA. Powerfully cheerful and jubilant, they make a person (of any age) want to frolic a bit. Today’s “Well Said” is graphically represented through the products of Sugarboo Designs, a small company based in Roswell, Georgia whose aim is to “make handmade products that add soul to the home.” Indeed. Sorry about the post title – I may have crossed a line there. I blame the fact that I’m entirely besotted with the gang over at the Savannah College of Art & Design. Earlier this week, I walked every inch of the New York Gift Show, searching for products and brands that felt fresh, inspiring, genuine… And I found a few, which I’ll share over the next couple weeks. But nothing stood out overall like the efforts by the students of SCAD’s Working Class Studio. First of all, it’s just a damn good idea: get students, alumni and faculty together in a real world product development venture. Founded in 2004, this innovative program produces eclectic collections of home decor, giftware and stationery that are sold at specialty stores throughout the US. The products themselves exude an optimistic energy and un-selfconsciousness that’s difficult to foster in a corporate setting. Nicely done, class. During a trip to Paris last year, I was standing in Collette with some Euro-trash compilation CD in my hand. Uber hipster clerk approaches, slips the CD out of my hand and inserts an alternative. “Vous me remercierez.” (“You’ll thank me”). And that’s how I got introduced to today’s track. Trap Doors, By Broken Bells from their self-titled album, 2010. Need a little color inspiration? Check out Design Seeds. It’s a simple but stunning blog that showcases the passion for palettes of its founder Jessica, a seasoned designer and color forecaster. It’s easy to get totally mesmerized and lost in imagination while wandering through this thoughtful collection of hip hues. No, today’s post is not a nod to Tony Jaro’s infamous cocktails. (Although that does sound strangely refreshing right about now…) Rather, a couple videos commissioned by Kate Spade to encourage us to live life more colorfully.